As my work with chemigrams went beyond simply applying chemicals to the photographic paper, and with the use of a resist evolved into being able to make marks on the paper that tell a story, I began to get more and more inspiration from painters and print makers as distinct from camera based photographers. 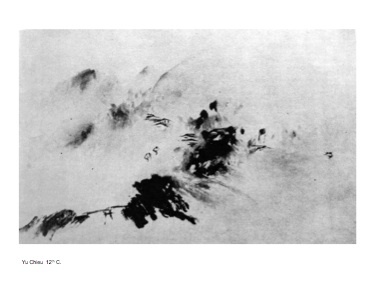 The abstract expressionists particularly resonated, as did oriental ink painting and calligraphy. When I find a work in a book while browsing used bookstores for treasures, or receive a gallery card that particularly resonates with me, I study it to see what makes it resonates and what that means for the direction I am going in my own mark making. “Chinese Brushwork in Calligraphy and Painting,” by Kwo Da-Wei (Dover Publications, 1981) was my introduction to the use of line and especially of space in the development of Chinese calligraphy and ink painting. The flow and gracefulness of calligraphy and the calm stillness of ink painting were important influences on my own mark making with the chemigram process. However, as anyone who knows me would expect, what finally inspired me to apply resist with calligraphy brushes and pens was related to food. 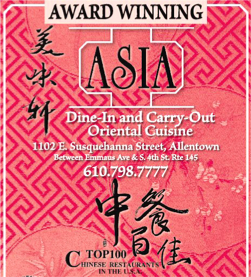 Of the many styles of calligraphy, the menu for the finest Asian restaurant in our area is unusual in that the style of calligraphy used is the flowing Tsao or grass style. This is quite different from the usual block-like calligraphy seen on menus at most Asian restaurants. Among my works inspired by calligraphy is “Kokoro” which can be seen in Images - Gallery 2. “Kokoro” is a Japanese word for the soul or heart of the painted object which the consumate Sumi-e painter is able to show in his or her work. It is not enough to paint a perfect rendition of a mountain. Rather, the soul of the mountain should be expressed in the painting. 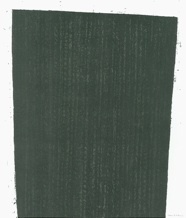 “Ink Painting” by Takaaki Matsushita, Number 7 in the “Arts in Japan Series” (John Weatherhill, Inc., 1974) has examples of ink painting from the 12th to the 15th Centuries that presage the most modern of abstract painting in their gestural abstraction and sometimes minimalist approach to composition. In Gallery 2 you can see a series of chemigrams inspired by Sumi-e landscape painters like Yu Chien from the 12th - 13th century. These are dedicated to Wang Wei, Tang dynasty poet and painter. Among contemporary artists, Brice Marden has incorporated calligraphic marks in some of his wonderful gestural ink pieces (“Brice Marden Drawings: The Whitney Museum of American Art Collection,” The Whitney Museum of American Art, 1998). His “Epitaph Paintings” (“Brice Marden Chinese Work,” Matthew Marks Gallery, 1997) began by placing large scale calligraphic elements from Chinese epitaph stones on the canvas. Working from these borrowed elements on the canvas, he created entirely new works of art. Derived from the stones he studied in China, this work bridges ancient calligraphy and modern abstract expressionism in a very interesting way. 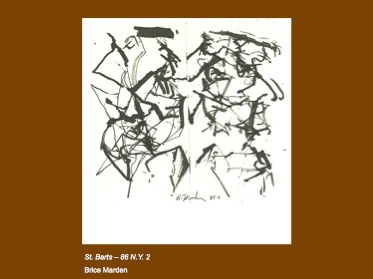 But it is Marden’s stick drawings which are particularly intriguing to me with their freedom and joyful feeling. Richard Serra’s strong prints (“Richard Serra Prints: Catalogue Raisonne,” Richard Serra and Richter Velag Dusseldorf, 1999) reversed the usual composition of black marks on a white ground. His massive black shapes with sharp edges of white give a dark and moody quality to this work. One of these, Muddy Waters, 1987 is to the left. Finally, the works of Jackson Pollock always bring me back to the power that emanates from the fusion of chance and control in art making. The control required by pre-visualization, coupled with the chance involved with gesture, energizes and strengthens the work whether it be the rapid brush stroke of the abstract expressionists, a drip painting, or the rapid gestural application of resist used in making a chemigram.